A fire is one of the worst things that can happen to you as a home or business owner. Once the fire is extinguished, the daunting project of repairing the damage begins. Let GTA Property Services Group, the experts in fire and smoke damage restoration in Toronto and the surrounding regions, take this project off your hands. The damage caused by a fire can go beyond what is visible. We use state-of-the-art equipment to determine if there was any damage to the structure of your home, including the pipes and plumbing. We use IICRC-certified fire and smoke damage technicians for fire damage restoration in Mississauga and the rest of the GTA. If you’ve recently had a fire in your home or business, even if it’s a minor one, contact us immediately. Smoke damage can cause a number of issues, making it vital that you call us to survey and assess the damage before any problems arise; our technicians will be at your home or business quickly. You’re doubtlessly feeling stressed following a fire, so let us set your mind at ease and find the issues before they can cause you even more trouble. 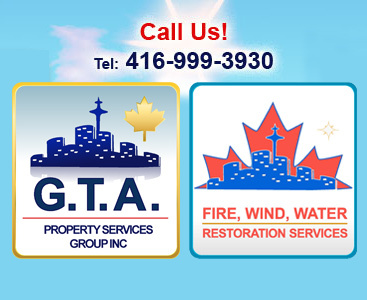 When you call GTA Property Services Group for fire and smoke damage restoration in Toronto and the GTA, there are many benefits aside from the cost-efficient services we provide. For example, while the water used to fight the fire may have helped to put it out, it can cause additional issues, such as mould and mildew. To prevent this, we will dry the structure of your home following a fire. And if the fire was particularly intense, it may have also caused windows to blow out. In addition to fire damage restoration in Mississauga and throughout the GTA, we will also board up any windows until you can get them replaced; this will keep the elements out, as well as help your home stay secure against possible break-ins. Of course, one of the worst things following a fire is the smell. And if anyone in your family or any of your employees suffer from any kind of respiratory ailments, having clean breathing air is extremely important. 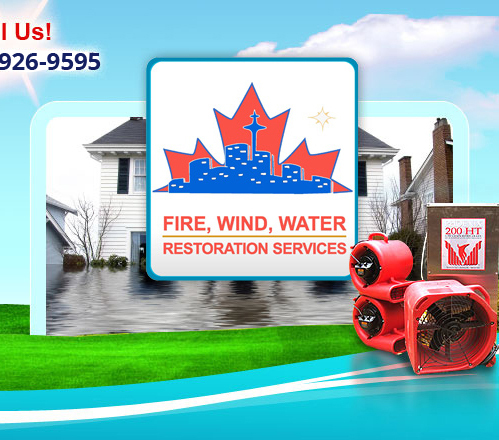 That’s why our fire and smoke damage restoration in Toronto includes deodorizing. We provide fire and smoke damage restoration in Toronto and the GTA quickly following a blaze, so you can focus on rebuilding your life. 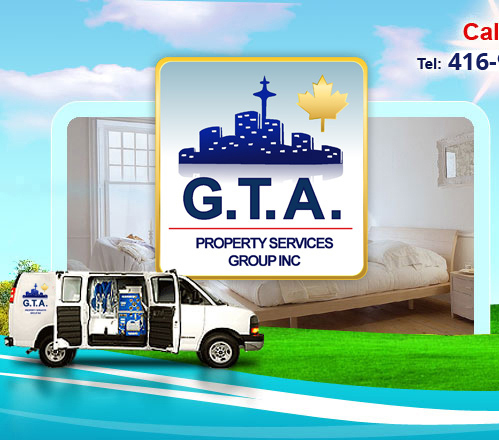 Contact GTA Property Services Group for more information today!